1st Stop Accountancy and Tax Services Bristol Ltd, uses cloud software, giving you access to your data on the move via your mobile device. Processing weekly, fortnightly, four weekly and monthly payslips. Preparation and production of P45's. Preparation and production of P60's. Completion of form P11d (expenses and benefits). R.T.I., Real Time Information, making the payroll quicker and easier to process everytime you carry out a pay run. All PAYE information is submitted on a monthly basis. Further information on PAYE deadlines. Real Time Information (RTI) is the most significant change ever made to PAYE. A new and improved way of reporting, RTI is designed to make PAYE submissions more efficient - meaning you'll need to submit information to HMRC in real time, every time you pay employees. Real Time Information doesn't change the way you calculate PAYE; it just means you'll need to make more regular submissions. Each time you pay your employees you'll need to submit PAYE information to HMRC, rather than just once a year at Payroll Year End. Following concerns over the impact of RTI on small businesses, rules of reporting were temporarily relaxed but from October 2014 those relaxed rules will be lifted and small businesses will need to start reporting each time they pay their employees - not just on a monthly basis. It’s important that small business act now to make sure they’re ready for reporting RTI fully and accurately to avoid the risk of a fine and any penalties. You’ll still need to process PAYE in the same way but you’ll need to submit the payroll information to HMRC on or before the day you pay each of your employees. How do I submit information to HMRC? You’ll need to do this using a Full Payment Submission (FPS). 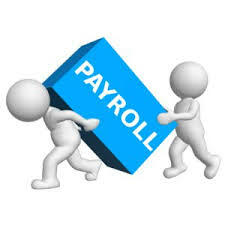 If you have Payroll Software it will generate the required reports and submit your payroll information online to HMRC. If you don’t need to pay any employees in a particular tax month, you’ll have no FPS to send to HMRC. You must notify them by sending an Employer Payment Summary (EPS) by the 19th of the following tax month. This will make sure HMRC don't wrongly send a penalty notice because they were expecting an FPS from you. What happens if I don't submit to HMRC? HMRC will penalise any employer not submitting a Full Payment Submission or Employer Payment Summary on time. They’ll also penalise you if your payments are late. The law on workplace pensions has changed. Under the Pensions Act 2008, every employer in the UK must put certain staff into a pension scheme and contribute towards it. This is called 'automatic enrolment'. Whether you’re a hairdresser, an architect or employ a personal care assistant, if you employ at least one person you are an employer and you have certain legal duties. We can make the whole process easier by keeping you informed and in the know about your required responsibilies. HMRC guide to workplace pensions.